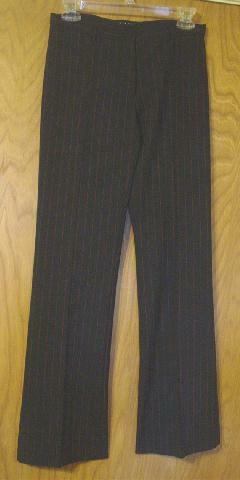 These navy blue pants have a thin red vertical line design. They are 53% polyester, 43% wool, and 4% elastan, and were made in Italy by Sisley. 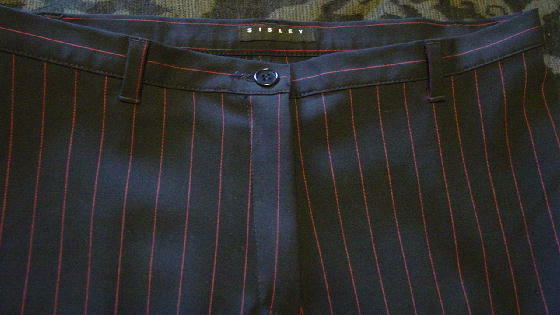 There is a 3/4" wide waistband with a one button closure. They have belt loops and a 5" long zipper fly.